…at The Coachhouse in San Juan Capistrano next Wednesday Oct. 13th! Getting tickets is easy…just click on “shows” right on this website and you’re on your way. 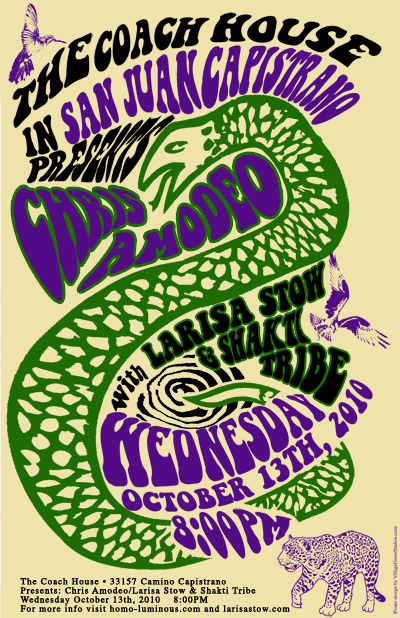 The radiant and talented Larisa Stow and Shakti Tribe will bring their magic to open the evening. I look forward to seeing you there!